It was the best of times; it was the worst of times. That’s either a Dickens quote or most people’s experience with long-distance relationships. And sometimes child sponsorship can feel the same way. You send a letter and have to wait months for a direct response. You hear about a child’s family and the good and bad in their situation, but you can’t be there to celebrate or cry with them. You’ve automated your bank account to debit $38 every month, but you wonder if it’s making any difference. Long-term sponsor Janine had been following Josienne’s progress for seven years, and was thrilled to be in East Africa at the exact right time to attend her Rwandan community’s graduation party. When she met the family, Josienne’s mom said she recognized Janine immediately from the pictures in her letters. She may have recognized Janine, but Janine hardly recognized the community. It was a very different picture than the community she heard about when she first started sponsoring. “They are now self-sustaining!” she says, amazed by the community’s accomplishments. More than ever, she understands that the point of sponsorship is to help each child’s community reach graduation. Although sad to say goodbye to Josienne, she’s already committed to sponsoring a boy in Busekera, the new FH partner community 14 kilometers away. 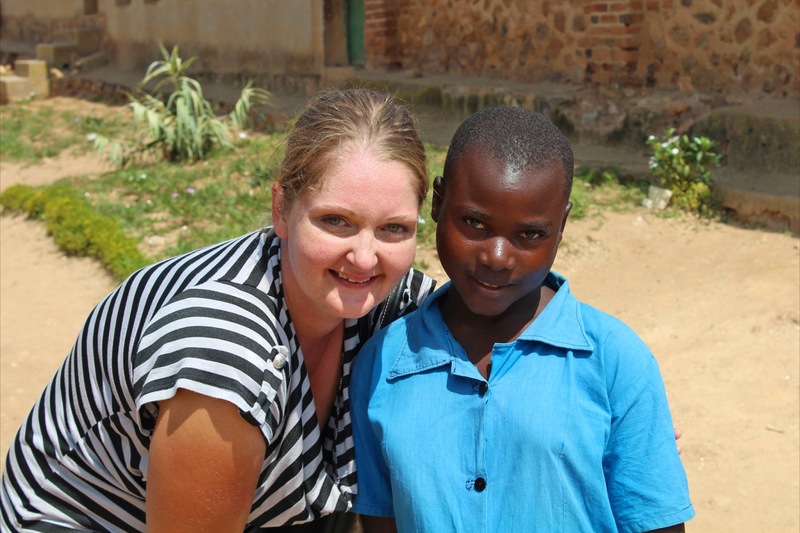 Child sponsorship isn’t the only long-distance relationship facilitated through FH Canada. There are currently 16 church, business and community group partners who have committed to walking long-term with a developing community. Capilano Church in North Vancouver has partnered with Bufukhula in Mbale, Uganda since 2004 and will continue until the community’s graduation, projected for the end of 2013. Kristee Watson, a longtime member of Capilano Church, lived and worked in Uganda with the FH in 2007 and 2008. In May she’s returning with a team from her church to help the community build a dormitory for teachers who live far from the school. The students’ parents have already completed two dorms, and have seen the improvement of their kids’ academic scores with the teachers more accessible before exams. But the teachers’ accommodations are only one part of the trip. The Capilano team and FH Canada staff are working hard to surprise Kristee’s old friends and co-workers at FH Uganda: they don’t know she’s coming with the team. “I’m looking forward to seeing their reactions!” says Kristee. It seems the verdict is in. Sometimes even long-distance relationships can result in happily ever afters. Check out www.fhcanada.org/cardsforkids for sponsorship resources and to access the Online Message Centre to write your sponsored child online. Visit www.fhcanada.org/groups to find out more about community partnerships.